Agriculture today has to strive increasingly to produce more food for a growing population in a challenging economic environment. It is no longer just a way of life followed by men in overalls and dungarees – ‘Agriculture is a highly integrated profession, practiced by professionals who apply modern business techniques, scientific knowledge and mechanical innovations to their operations’ – Earl Coke. 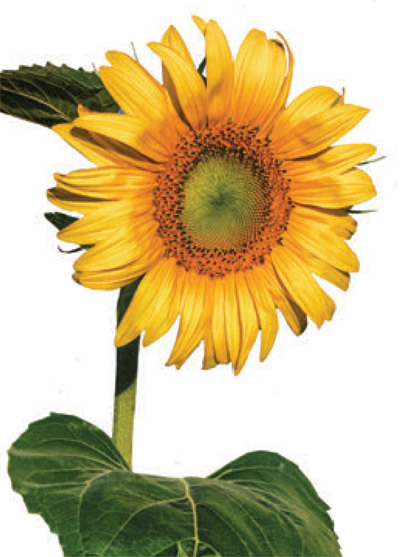 Sunflower production has an important role to play in South African crop production scenarios. Annual production is between 500 000 tons - 700 000 tons. It has been useful in crop rotation programmes but it is also a good crop to grow in marginal soils. Furthermore, it is well adjusted to a wide variety of soils from heavy to sandy loam soils. Another important characteristic is that it has a shorter growing season than maize so it can be planted a little later where conditions make it necessary, and it has also been found to withstand early frosts. This team conducts scientific surveys to estimate the preliminary area planted. This is useful information for you the farmer as it will guide you as to the markets which operate on a supply and demand basis. Too much sunflower planted will suggest lower market prices at harvest time. (The same applies to maize production.) The preliminary assessment of area under sunflower production for 2017 is 665 800 ha, which is slightly down by about 52 700 ha less on the previous season. (This information is freely available on http://www.sagis.org.za). This is the tonnage you can anticipate harvesting per hectare in a normal growing season. Find out what the long term yield potential is for sunflower crops grown in your area. This enables you to set a yield target. This is very important. Your actual planting dates will influence your seed selection. If for example you can’t get into the field due to high rainfall and muddy conditions – or alternatively, if it has been too dry to plant – you need to consider the number of days you have available left in the growing season before the onset of the frost season, and choose the seed accordingly. It is a recognised fact that in terms of genetics there has been slow progress in the development of new sunflower varieties and enhanced yield potential. Sunflower yield is as much a function of BEST practises as cultivar selection so these will ALWAYS work hand in hand. Soil preparation is important. You need to inform yourself of common field preparation practices in your area and also keep yourself informed on modern thinking around caring for the soils at your disposal. A lot of farmers are electing to go the no-tillage route both for the sake of building up healthy soils as well as for the attractively lowered costs of field preparation. No-till does not just happen – it must be approached scientifically and through a process of self-education and information gathering. Appropriate fertilisation is always important and plays an important role in yields realised. Your fertiliser programme must always be based on scientific soil analysis. The sunflower plant is known to utilise the nutrients in the soil exceptionally well due to its extensive root system which are able to reach nutrients which cannot be taken up by some other crops. Plant population is the single most important contributor to yield potential. Nursing the young seedlings through the difficult and challenging emergence stage is highly management intensive and will very likely require that you scarify the crusty earth’s surface just prior to emergence, which is normally about 3 - 4 days after planting. A stand of 30 000 - 45 000 plants on a hectare is a good average guide if maximum yields of up to 2 t/ha are your aim. Once you have a good stand on the field you will look at other factors to enhance yields. Weed control is critical. Weeds compete aggressively for the nutrients and moisture which should benefit the sunflower plants. The plants are especially vulnerable during the first 3 - 4 weeks, as this is the slow part of their development. It is also wise to do a final cultivation just before the tractors can no longer get into the field without harming the sunflower plants. Insect control is important and this requires regular monitoring of your crops looking for signs of pests from as early as eggs and worm stages. If you need to use herbicides to control a pest invasion, it is always wise to work closely together with the representatives of the chemical companies who will visit the field and advice you as to application rates. Make sure that your farm workers are well educated about working with chemicals and that they have all the necessary safety gear at their disposal to ensure their wellbeing at all times. 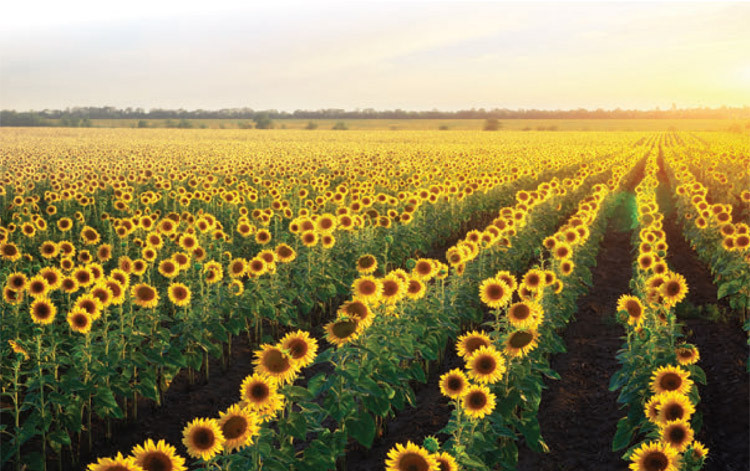 Not only are sunflowers a very rewarding crop and a joy to behold, but they can make a valuable contribution to your long term farming programme because of low input costs and also because they generally perform well under the dry conditions, which are more normal for South African producers. Sunflower cultivar recommendations for 2016/2017 – Dr AA Nel, ARC-GCI, Potchefstroom.